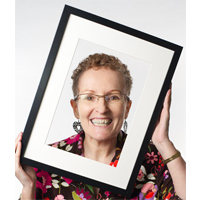 Choose more resourceful thoughts, beliefs and stories about yourself and the world. MEMBER OFFER: Our personal members can purchase 1 deck and get a second deck free to gift a friend (redeemable once per — contact us for detailed instructions. Imagine. 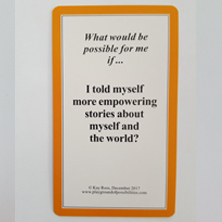 What would be possible for you if you let go of your old, limiting thoughts, beliefs and stories about yourself and the world? What if you chose more useful ones? 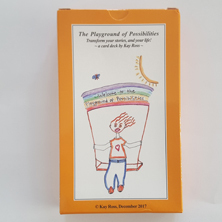 Kay invites you to explore her fabulous “The Playground of Possibilities” card deck, with 52 thought-provoking and action-provoking questions you can ask yourself any time. Tap into the abundance of the universe. Take bold action. Improvise new, more resourceful ways of being. 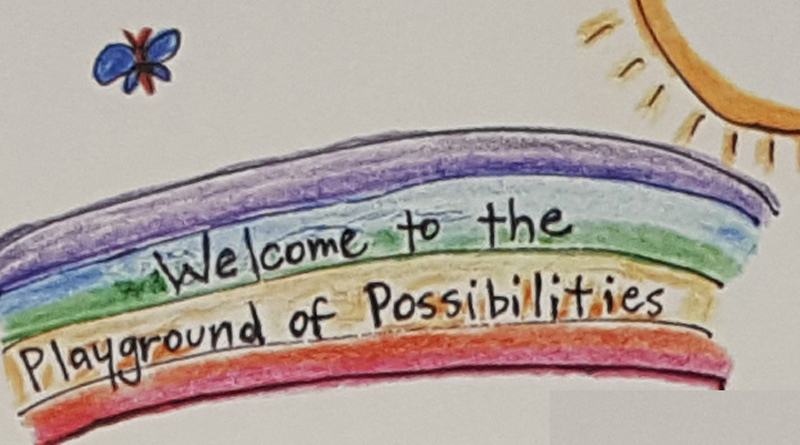 Connect with like-minded, like-hearted friends. 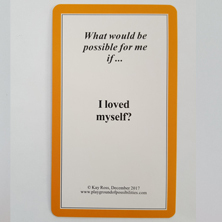 What would be possible for me if I … ?